Should I avoid talking to my doctor and jump right to tests? 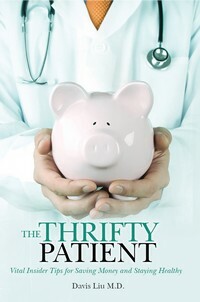 An excerpt from The Thrifty Patient – Vital Insider Tips for Saving Money and Staying Healthy. Do I really need an MRI? Do I really need blood work? This often? Should I avoid talking to my doctor and jump right to tests? Americans love technology, whether it’s carrying the latest iPhone or buying the newest flat-screen TV with 3D technology. Naturally, our fascination with technology has spilled over into medical care, where everyone, including doctors in training, seems focused on what the x-ray, CT scan, MRI, or blood work showed. Sadly, this trend is seriously misguided. More testing does not lead to better care. More testing does not lead to more accurate diagnoses. Research has shown that Americans receive too many tests and procedures compared to other countries. If anything, more testing seems to be associated with worsening health. The leading cause of radiation exposure is too many medical scans, such as CTs. The worst part? With all of the additional testing, as a country we spend more and are less healthy than other nations! The truth is that a test, whether through blood work or imaging studies, is merely a tool and a clue. The test results are not the absolute truth. They do require some interpretation. People are far more complex than a simple blood count, an x-ray, or other lab test. In isolation without a patient story, these results are meaningless and not helpful. In the hands of a good doctor, these clues can be tremendously helpful. In the hands of a less-skilled doctor, they can result in unnecessary additional testing, worry, and misdiagnoses. Where did this false faith in the power of testing come from? Perhaps it has been due to the popularity of medical dramas such as ER and House, where the public witnesses the dizzying array of tests being ordered. No one leaves the hospital without something being done. Perhaps we feel compelled to get testing done because co-workers, friends, or family members who talk about their health issues seem to get a lot of tests done. Are we doing something wrong if we don’t get tested? It’s extraordinarily hard to go against popular trends, even if they are wrong for both doctors and patients. Although some doctors argue that overtesting is to prevent malpractice suits, this is only part of the story. Doctors are also prone to this misconception that tests reveal the absolute truth. In the book The Empowered Patient, CNN Senior Medical Correspondent Elizabeth Cohen highlights two misdiagnoses by doctors because they relied only on a test result, the biopsy report. They didn’t interpret the result in the context of the patient. The results didn’t make sense given the patient’s medical history. Thankfully, both patients avoided unnecessary and potentially dangerous therapies because the patients discovered their diagnosis didn’t fit the typical profile. As noted previously, a test result is simply a test result. It doesn’t give you or your doctor the truth. It is merely a piece in the puzzle. In the previous examples, the piece was for an entirely difference puzzle! Even doctors can rely on these tools too frequently and make serious errors. How will testing help with the diagnosis? Are there other alternative diagnoses or possibilities you are considering? What are the consequences of not testing? Do I need it now? Can I safely wait or postpone testing to see if the condition improves? Will the testing change the treatment plan? If so, how? Davis Liu is a family physician who blogs at Saving Money and Surviving the Healthcare Crisis and is the author of The Thrifty Patient – Vital Insider Tips for Saving Money and Staying Healthy and Stay Healthy, Live Longer, Spend Wisely. What distinguishes good physicians from truly seasoned medical professionals?